The mythology of Krishna is rich in complexity. He is all at once a yogi, an avatar (incarnation of consciousness), a lover, and a musician that can evoke a seductive and sonic dreamlike state. His relationship with Radha can teach us much about the nature of love and the playful side of life itself. 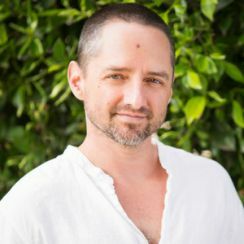 Noah explores this aspect of Krishna's story in depth, and then he guides you through a bija (seed) mantra practice that invites you into a playful, loving, and dreamlike state of consciousness.